Family Trust now offers members access to Apple Pay, a new category of service that will transform mobile payments with an easy, secure and private way to pay. Security and privacy is at the core of Apple Pay. When you add a credit or debit card with Apple Pay, the actual card numbers are not stored on the device nor on Apple servers. Instead, a unique Device Account Number is assigned, encrypted and securely stored in the Secure Element on your device. Each transaction is authorized with a one-time unique dynamic security code, instead of using the security code from the back of your card. 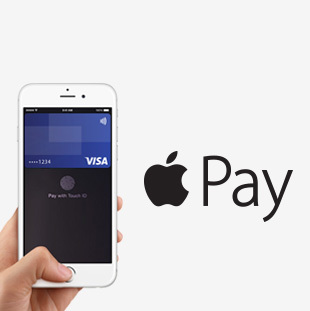 In participating stores, Apple Pay will work with iPhone 6, iPhone 6 Plus and Apple Watch, upon availability. Within apps, Apple Pay is compatible with iPhone 6 and iPhone 6 Plus, iPad Air 2 and iPad mini 3. See a list of merchants accepting Apple Pay.